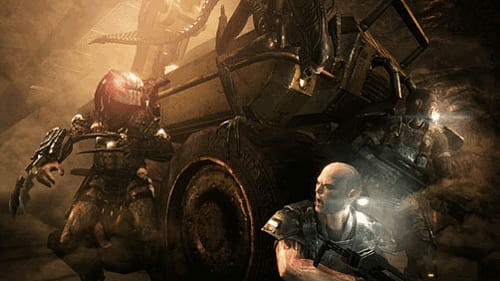 The three most deadly predator species in the universe come together for a showdown: chest-bursting aliens, high-tech hunter Predators and well-armed human marines fight for survival against each other in the ultimate in scary first-person shooters, Aliens Vs Predator. 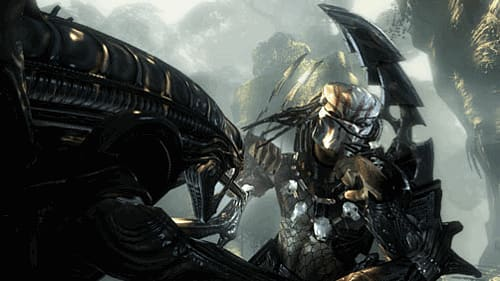 Aliens Vs Predator updates the classic film-inspired action of the original game with state-of-the-art atmospheric visuals and all new features including groundbreaking and terrifying three-way multi-player. 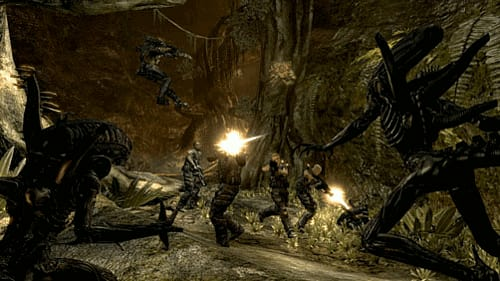 In online multi-player, and in the single-player campaign play as the Alien, able to scale any surface and kill with teeth, claws and tail; or as the Predator, with high-tech hunting camouflage, a master of the stealth kill; or as a Colonial Marine, with firepower and squad numbers to fight back against overwhelmingly lethal odds. 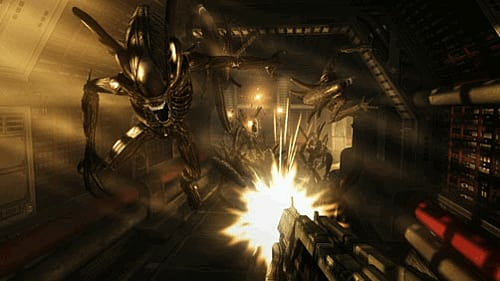 A three-way fight for survival means epic and scary first-person action in Aliens Vs Predator. In the all-new Aliens vs. Predator, players will have the chance to take the role of the three infamous species; the Colonial Marine, the Predator and the Alien. Each of the three species has its very own distinct story-driven single-player campaign mode that interweaves with the campaigns of the other two species. Aliens vs. 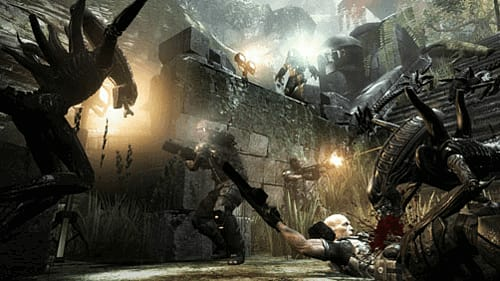 Predator will also feature unique 3-way online multiplayer, allowing gamers to pit the three species against each other in the ultimate battle for survival and for the right to be crowned the deadliest species.